Customer service calls can be frustrating for consumers and agents alike. But MIT spinout Cogito believes it can use behavioral analytics to make those experiences less onerous. 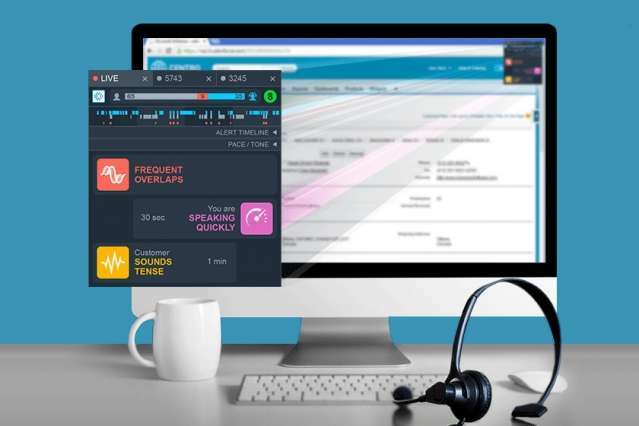 Cogito has developed voice-analytics software for call centers—refined through years of research that focused on human behavior—that tracks, in real-time, voice patterns of customers and agents, and offers feedback to make the conversations more productive. By doing so, Cogito also aims to make millions of call center workers happier and more productive. According to the U.S. Bureau of Labor Statistics, about 5 million of 146 million workers in the U.S. are employed in call centers. That's roughly one out of every 25 Americans. Cogito recently secured funding in November to develop technology for customer-service applications. The company also continues its history of using the technology to monitor mental health. In December, Cogito partnered with the U.S. Department of Veterans Affairs to detect signs of post-traumatic stress disorder (PTSD) symptoms in returning soldiers. For this and other mental-health applications, the company created a mobile app to passively monitor smartphone sensors to detect behavioral information from voice recordings and texting, while prompting participants to fill out surveys about their mental health. Analyzing this data can reveal behavioral patterns, such as withdrawal or lethargy, that assessed indicated a user's mental health. If symptoms are detected, "we will develop feedback mechanisms so that organizations, that care for [these] populations, and individuals and care teams that care for [these] populations can get ahead of risks," says co-founder and CEO Joshua Feast MBA '07. Each day, companies field hundreds of millions of phone calls from customers, which, according to Cogito, impact customer decisions in buying goods and services from the companies. Cogito created software called Cogito Dialog that monitors speech subtleties, such as long pauses, interruptions, conversation flow, vocal strain, or speedy chatter. Analyzing voice signals, the software determines customer engagement by tracking, for instance, if callers sound annoyed, disinterested, or confused. Speaking fast or interrupting, for instance, may indicate annoyance; an unusual series of pregnant pauses could indicate disapproval or lack of comprehension. The software will also notify the agent if they're building rapport with a customer, accounting for various voice signals, such as proper pacing, speaking with confidence, and expressing empathy for the customers' situation. Feast says the software represents a "win-win" for customer service: It provides objective guidance for employees to be more productive and feel more valuable. In turn, customers are happier speaking with empathetic, engaged workers. "Through our voice analysis, we can help bridge the communication gap between customers and agents," he says. Cogito's recent case study with a large health care insurance provider, where agents using Cogito spoke with 300,000 members, revealed some issues that the software could address. Members perceived agents as too dominating in conversations and so avoided signing up for valuable services. Meanwhile, agents themselves were spending too much time on uninterested members. After the study, the firm saw an increase in customer enrollment of 4 percent, which adds up to a few million dollars in profits. Call times dropped 23 percent and customer engagement during the calls increased 25 percent. Cogito's aim is to provide a quantifiable aid for "natural intuition," says Cogito co-founder and MIT Media Lab professor Alex "Sandy" Pentland, the Toshiba Professor of Media Arts and Sciences and director of the Human Dynamics Laboratory. "It's aiding that intuitive understanding we have when we listen to people—helping people do that better," he says. Pentland spent years developing the core technology for Cogito at MIT. In 2001, Pentland was in India launching Media Lab Asia, a program to bring advanced information technologies to that continent. Initial meetings with his co-founders were rife with disagreements and misunderstandings. "I noticed a lot of the meetings we had, particularly the board of directors, were awful," Pentland says, laughing. "Although the words were all good, how people said things just didn't work." Invested in measuring how people talk—not what they say—Pentland began a years-long study into quantifying "honest signals," subtle cues in speech pattern, tone, and body language that determine conversation outcomes. To do so, Pentland and other MIT researchers developed sensor-packed name badges, called sociometers, which tracked patterns in people's movements and voices during conversations. "You could see if someone was listening, if someone was interested, who was dominant in a conversation—all by listening to how they said things," Pentland says. Analyzing this data, without knowing the content of the conversations, the researchers predicted with 70 to 80 percent accuracy the outcomes of interactions such as job interviews, investment pitches, and even scoring a second date. Other studies using the technology involved monitoring depression symptoms in patients, and tracking conversations between patients and doctors to ensure both parties understood each other. In the beginning, the company focused primarily on health care. 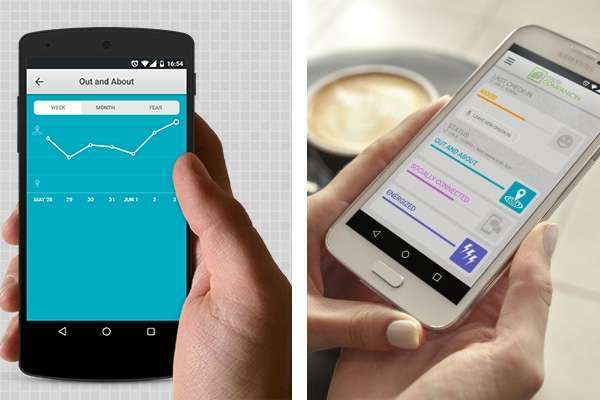 Numerous grants, including from the U.S. Department of Veterans Affairs, the Defense Advanced Research Projects Agency, the National Institute of Mental Health, and Massachusetts General Hospital have helped Cogito develop its app to monitor depression symptoms in patients. These applications helped the company prove out its technology for customer service, Feast says. "Behavioral, and specifically voice, analytics are very complex," he says. "If you want to help improve the phone conversations between parties, you need to ensure you have an application that truly works and can interpret human behavior. That is why our background and continued innovation in behavioral health is so unique and so valuable." On April 15, 2013, Cogito found an unexpected use for the technology: monitoring how people with mental illnesses responded to the Boston Marathon bombing. At the time, Cogito was conducting a DARPA-funded clinical trial on volunteers with PTSD, bipolar disorder, or other mental illnesses. They compared the behavior of the participants before and after the bombing, analyzing, for example, changes in voice and sleeping patterns, and increases in physical and social isolation—as indicated by lack of texting, calls, or movement. In two weeks following the incident, the company found survey participation dropped by roughly 50 percent, potentially indicating PTSD-related withdrawal. Participants that did respond to surveys reported a 14 percent increase in severity in attitudes and behaviors linked with depression and PTSD. Currently, Cogito is seeking to publish a more comprehensive paper on the study, which the company hopes will provide insight into the psychological effects of people with mental illnesses following population-level trauma, and help identify the factors that make some people more resilient than others. "We think it's important for the world that we put that information out there," Feast says. In the future, Feast says Cogito sees the technology as having more far-reaching implications for improving conversations. "[T]he platform is capable of analyzing conversations between any parties and can ultimately help people communicate more effectively," he says.